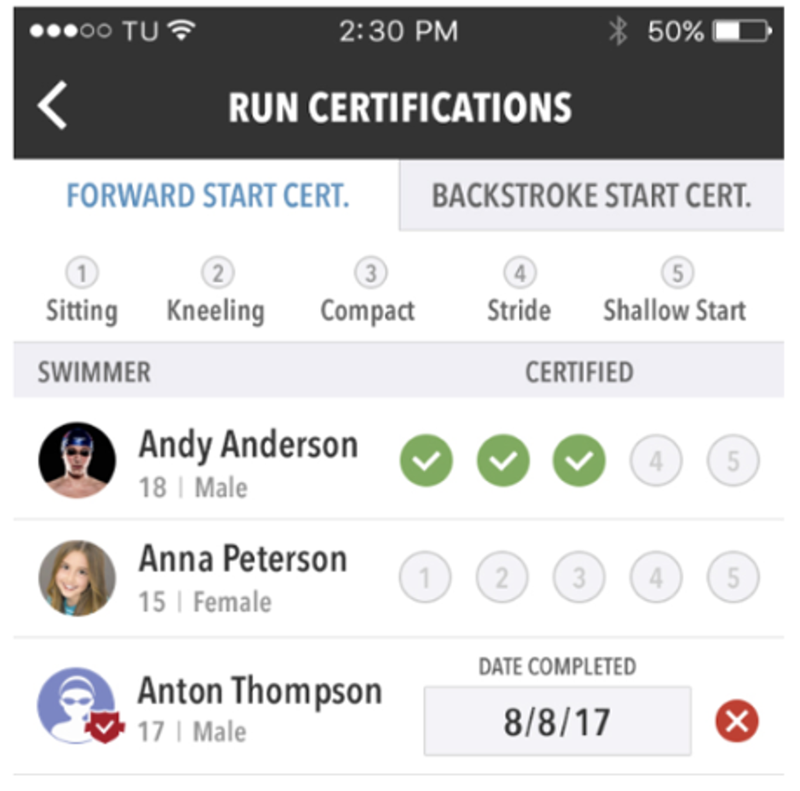 Inclusion of digital USA Swimming Start Certification worksheets within the TeamUnify mobile app, OnDeck. Ability to select the USA Swimming Flex Membership as a registration option. At the beginning of every season, an administrator for each swim team would take it upon themselves to go through the process of manually building out a USA Swimming registration packet, exporting it, downloading it and mailing to their appropriate LSC contact. 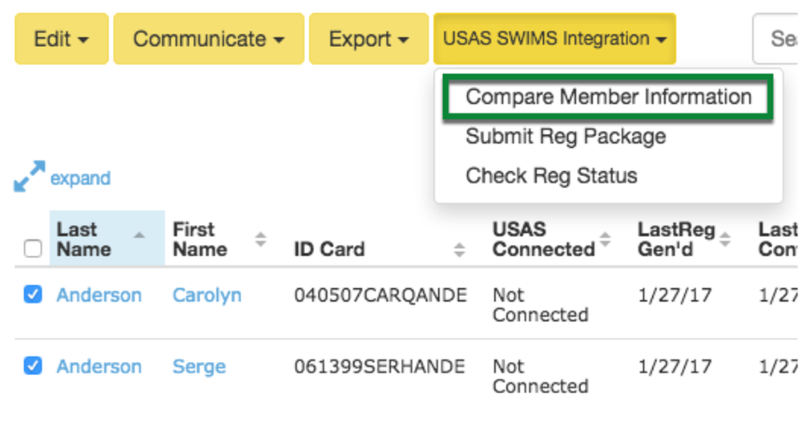 With the new SWIMS integration, administrators can now build registrations, compare member info from both their team database and the USA Swimming database, verify all member information is correct, and submit their registration packets digitally right from the TeamUnify environment. Once the registration packet is approved by USA Swimming, each individual member profile will be updated with their registration date and USA Swimming Badge. Read this article for step-by-step instructions on how to complete registration packets with the new SWIMS integration. USA Swimming requires each swimmer to be certified to dive into the pool. Right now, most coaches print out multiple worksheets and record tests for a group of swimmers one at a time. With the new Start Certification Worksheet, USA Swimming affiliated coaches can now digitally record test certifications for their swimmers directly from the mobile app, OnDeck. Easily access a digital worksheet and archive for records. To learn where to access and how to use the digital Start Certification Worksheets from OnDeck, click this article. Recently, USA Swimming released an all-new membership level called the “FlexSwim Membership.” This membership level is an entry-level membership meant for families who want to experience being part of a swimming team but want flexibility to participate in other activities and sports throughout the year. Now, when a TeamUnify administrator is generating registration batches, “Flex” is an option that can be selected for individual swimmers who wish to compete at that level. For more on where the FlexSwim Membership option is located, check out this help content.